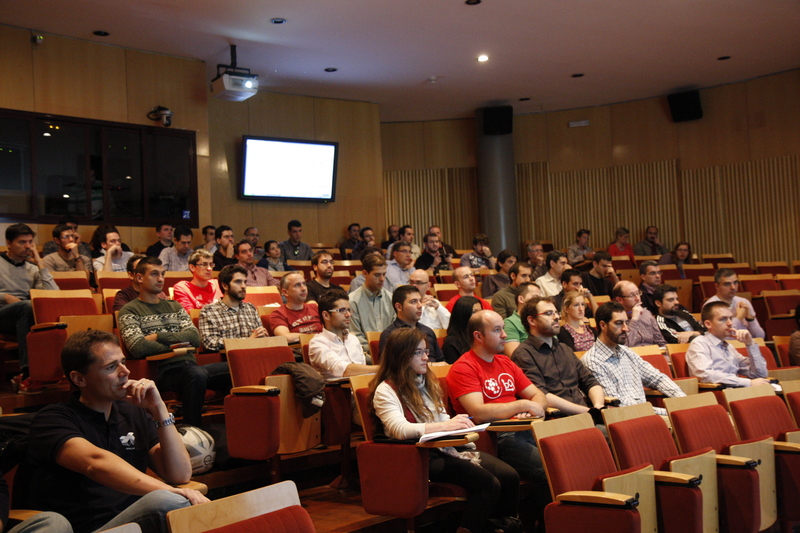 Last October 28th, for the second year, we had our yearly C++ event using std::cpp in Spain. This was a one day event allowing exchange of experience using C++. More than 130 people attended to the event. More than 75% of attendees where professional software developers in the industry, while the rest were engineering students. Attendees came from different parts from Spain ranging different sectors that included developer tools, defense, aerospace, finance and bank, insurance, railways, energy, manufacturing, consulting, and video games. The success of this event is fully in line with several other international events as the recent CppCon in USA or Meeting C++ in Germany and can be seen as another proof of the high interest with which the industry has received the new versions of the C++ standard. It is also worth mentioning that as many other countries there is also a farly active C++ meetup group in Spain. Basic functional programming in C++, by Joaquin M. López. Unspecified vs Undefined Behavior, by Juan Soulié. Dependency management systems for C++, by Diego Rodriguez-Losada. Finally I understand what monads are, by Joaquín M. López. BITSCAN: a C++ library for bit manipulation, by Pablo San Segundo. To know or not to know? Risk management during C++ application development, by Victor Merino. Object calisthenics with C++, by Anibal Cáceres. This event would have not been possible without the effort of all the program committee members that helped us to select the talks for one full day. We would like to express our gratitude to all of them. Besides we are grateful to University Carlos III of Madrid for hosting the event for second consecutive year. And of course, to all the people from the ARCOS research group that acted as volunteer to make using std::cpp 2014 happen. Last, but not least, we wish once more to thank the support from our sponsors Indizen Technologies and biicode. We hope to see you again in using std::cpp 2015.